Lexington County School District Three is joining school districts across the state and nation to celebrate School Board Recognition Month all throughout January. Lexington County School District Three is joining school districts across the state and nation to celebrate School Board Recognition Month all throughout January. In South Carolina, more than 600 locally-elected and appointed school board members are being recognized by schools and communities for their service and dedication to public education. This year’s theme “Local Voice, People’s Choice” highlights the fact that school board members are elected/appointed by the people in their local communities to represent their voice and to ensure the success of schools and students. In Lexington Three,​ ​school board members (all of whom are elected) develop policies and make tough decisions on complex educational and social issues impacting the entire community. They bear responsibility for more than 2,000​ ​students and nearly 500 employees. 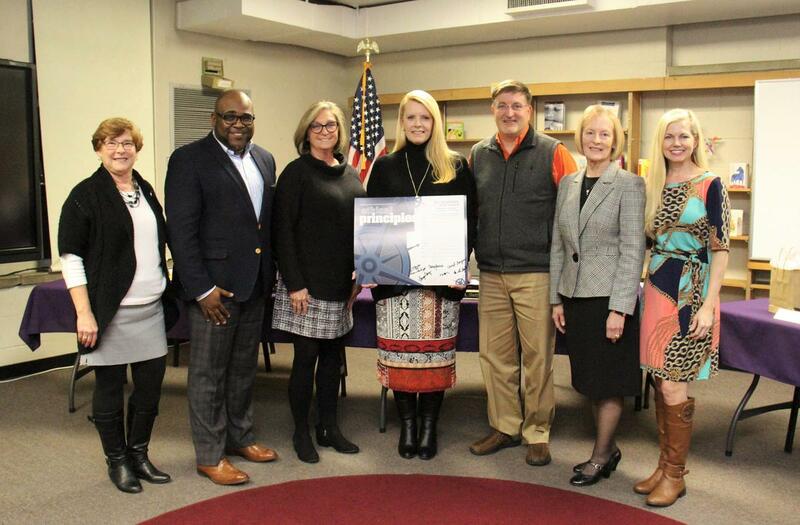 As part of School Board Recognition Month,​ ​Lexington Three​ ​board members participated in an official signing of the South Carolina School Board Member Ethical Principles during their January 8th meeting. By signing the principles, school board members publicly vowed to uphold effective governance principles and pledged to improve public education in their community. Lexington County School District Three would like to sincerely thank the following individuals for selflessly volunteering their time and talent to serve on our Board of Trustees: Frances Bouknight, Cheryl Burgess, Sonya Cary, Craig Caughman, Stacey Derrick, Rev. Leon Drafts and Dr. Gariane Gunter.